Emma Watson and Daniel Radcliffe. . Wallpaper and background images in the harry y hermione club tagged: emma watson daniel radcliffe tumblr. 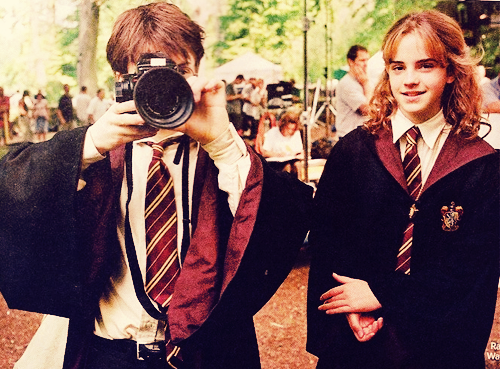 This harry y hermione photo might contain traje de negocios and juego de negocio.